After a long days hike in cold weather, there is nothing like setting up camp and having a warm beverage to heat yourself up. Normally, I like some sweet coffee because I am a caffeine fiend, but on our trip to Pedernales Falls, I decided to use hibiscus tea as my go to warm beverage for our adventure. Not only can tea be a delicious drink, but Nile Valley Herbs also supports a good cause through The Mother Maryam Foundation. 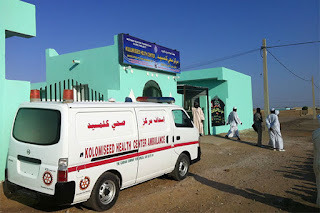 The foundation has supported many projects in the Northern Province of Sudan. Nile Valley has regular hibiscus or mint hibiscus. So, for every purchase a portion is donated to help those in Sudan. I have never had any hibiscus tea before this, so the taste was definitely a shock. It took a little while to acquire a taste for hibiscus (I began by drinking it at home to get a feel for hibiscus tea before diving in on the trail). I still think the tea has a tart taste, but it’s nothing against this specific brand. After a long day walking around, I was looking forward to trying out the hibiscus tea again. The sun had gone down and I was starting to get chilled, so I decided it was time for an evening beverage. I boiled some water and made enough tea for Jack and me. Jack turned the offer of tea down. I definitely felt much warmer and felt prepped for bed. The next morning, I was ready for another warm drink to get me going for another long day and hibiscus tea hit the spot. I followed the same routine on Saturday night and Sunday morning. I have had a few more brands of hibiscus tea since first trying Nile Valley’s tea, and it has had the best taste so far. Also, it’s great that Nile Valley Herbs is formed around a nonprofit and is out there helping people. Overall, the product is easy to carry, lightweight, and super easy to make. Plus, it provides a few options, a warm or cool beverage depending on the weather. Furthermore, hibiscus tea can be cold brewed, so just throw it in a water bottle during the day or your cup when you get off the trail. Finally, it has no caffeine, which makes it a great bedtime drink, especially for those that are caffeine sensitive. While I have nothing negative to say specifically about Nile Valley Herbs, hibiscus tea isn’t my cup of tea (sweet pun). I am just not use to the taste and prefer coffee or regular tea. Additionally, As I now know, hibiscus tea has no caffeine, which means it’s no good as a breakfast drink for me. If you love hibiscus tea or any other tea let us know or tell us all about your favorite campfire beverage. Also, Make sure to keep up to date on all our adventures by following us on Facebook. This was a sponsored product review. 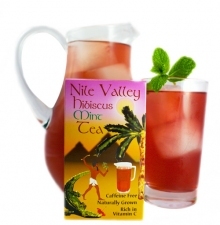 One box of hibiscus tea was provided by Nile Valley Herbs for review. I have ordered this tea through your website. Great tea..what impressed me most is how friendly the lady was that took my online order. Fast delivery too! I find it best served over ice. I am glad you had a good experience with their customer service. I think I like it best over ice as well!